We regret to announce the passing of our beloved mom, Rose “Nana Rose” of Westville, formerly of Sydney, at the Aberdeen Hospital on January 4, 2019. 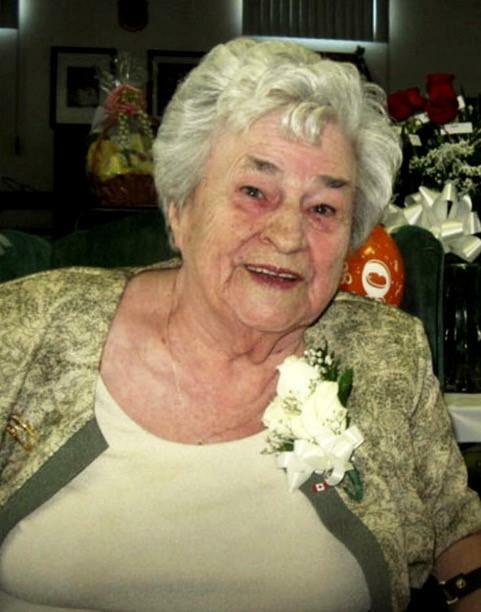 Rose born April 14, 1930 was a life time member of the Ladies Auxiliary of the Royal Canadian Legion and a long time member of the C.W.L. She enjoyed playing cards, especially crib. Rose was known for her great sense of humour and quiet wit. She is survived by her daughters, Kathleen (John) Couture and Rose (Ron) Fraser, both of Sydney. She is also survived by her four grandchildren, John Couture, Robert and Robin Fraser and Lyndel Couture Long and 13 great-grandchildren. She is also survived by her only remaining sibling, Mary Bonaparte of Sydney. She was predeceased by her loving husband, William “Bill” and 11 other siblings. Visitation for Rose will be held on Thursday, January 10, 2019, from 2-4 and 7-9 p.m. at the SW Chant & Son Funeral Home, 564 Alexandra St., Sydney. Funeral Mass will be held the following day, Friday Jan. 11, at 2 p.m. at St. Theresa’s Parish, Ashby, with Fr. Dennis Lamey officiating.